A man has been arrested on suspicion of manslaughter in connection with the death of a man found inside a shipping container in Essex on Saturday. The 34-year-old man, from Limavady in County Londonderry, was arrested just after midday today [Monday 19th August] on the A1 at Banbridge on suspicion of manslaughter and facilitating illegal entry. He is currently in the custody of the Police Service of Northern Ireland [PSNI] ahead of being returned to England for questioning by Essex Police. Essex Police have now named the dead man as 40-years-old Meet Singh Kapoor. Initial post-mortem tests have proved so far been inconclusive. Thirty four survivors include 10 men, nine women and 15 children were also found in the container on Saturday. Their ages ranged from one to 72 years of age and are of Afghan Sikh origin. They are all in the care of the Home Office after being questioned by police and are reported to be seeking asylum in the UK. 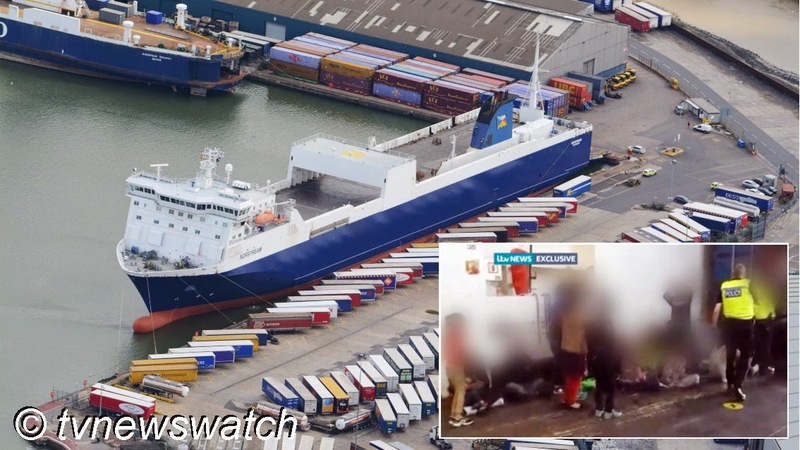 The group had arrived in the UK on Saturday on a ship from Belgium and were said by police to be victims of people trafficking. They were discovered after dock workers heard banging and screaming coming from one of the containers [Sky News / BBC].